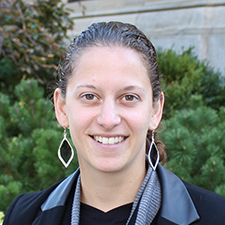 Karen Levin joined EdVestors in 2015 as the Director of Zeroing in on Math. Karen previously worked at City on a Hill Charter School for six years as a math teacher and served as a Numeracy Coordinator, responsible for aiding in the creation and implementation of Numeracy curriculum. While with City on a Hill, Karen was a Teaching Policy Fellow with Teach Plus, where she advocated for policies to better serve students and retain highly effective teachers. Karen graduated from Middlebury College with a BA in Mathematics and received a Master of Arts in Teaching from Boston University, where she was a Noyce Scholar.